UFO SIGHTINGS DAILY: Two Long UFOs Seen Over Las Vegas, NV, August 7, 2016, Video, UFO Sighting News. 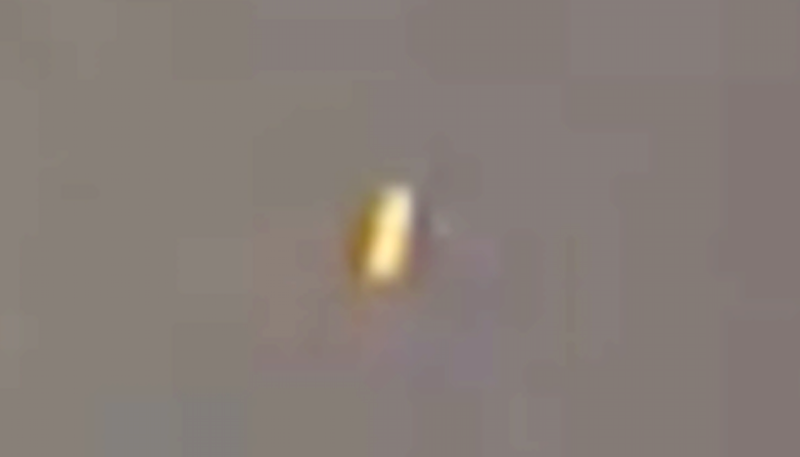 Two Long UFOs Seen Over Las Vegas, NV, August 7, 2016, Video, UFO Sighting News. It looks like this UFO was seen during sunset. The light from the setting sun is hitting the UFOs at just the right angle to light them up. Normally the UFOs would not be seen, camouflaged in the clouds, but the setting sun is having its way with those stealthy craft. I just left my home and turned left on the nearest street heading South. Immediately, two highly reflective objects caught my eye moving rather slowly at first. I immediately identified them as something I have never seen before flying in the sky. I have much experience growing up on military bases for the first 20+ years of my life, including living on SAC alert bases. I have much experience witnessing all types of military aircraft and familiar with their flight capabilities. What I saw yesterday on 08/07/16 was not military and not civilian. I immediately thought, take out cell phone. I tried to first to capture a picture, which I did, but the object was hard to focus on. I immediately switched from static pictures to video using my Samsung Note 5. I was inside my Jeep Wrangler with family. All 4 of us saw the object including my retired Army father. We watched the object fly N then switch to a NE direction heading towards Nellis AFB. At first, there were two objects. However, once the objects moved towards the NE, the second object disappeared and I could only see the first and larger object.